Maginhawa St., Diliman Q.C. offers several food stops for foodies on an expedition. One food stop for those who have a sweet tooth, or cupcake addicts like me, is the Frosted Desserts Restaurant. This shop offers frosted cupcakes and dessert bars for everyone to enjoy. My top three picks include the Banana Nutella, Banana Walnut, and The King. These are all banana cupcakes with different frostings. It’s the cupcake that I really love and the toppings were simply bonuses. The banana cupcake was moist but not too dense or fudgy. It also has just the right amount of banana flavor and sweetness in it to complement the frostings on top. The Banana Nutella was of course frosted with chocolate hazelnut icing and roasted hazelnuts while the Banana Walnut had cream icing topped with walnuts. The King certainly ruled with its one of a kind frosting. It has peanut butter frosting topped with caramelized bacon. It had the nice fruit flavor of banana in the cake base, the sweet, salty, and nutty flavors of the icing and of course the unusual flavor of caramelized bacon to top the cupcake. Those who are partial to chocolate flavors can enjoy the Double Chocolate Cupcake, Smores, and Snickers Cupcake. They also have chewy chocolate brownie bars while you are at it. My favorite among the three chocolate based cupcakes is the Smores, simply because I love marshmallow icing. Other flavors that I got to try over our past visits include the Jazzy Jane, Red Velvet, Cookie Butter, Tiramisu, and Earl Grey. They all tasted fine with me except for the Earl Grey which I felt had a strong tea flavor in it, but my sister liked it anyway. 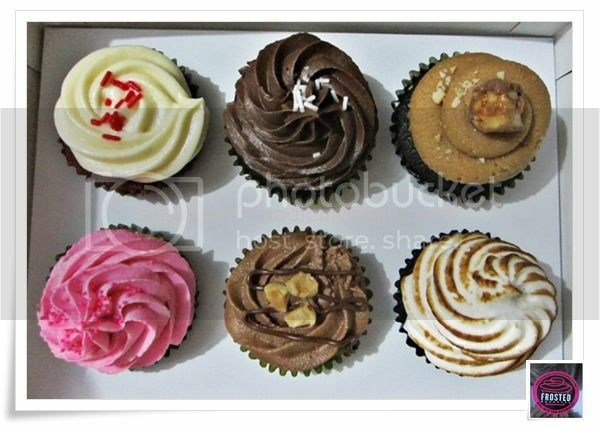 Frosted cupcakes from Frosted Desserts are affordable finds that one can enjoy everyday. Their banana based cupcakes are simply great and I daresay that they are even better than the chocolate cupcakes. 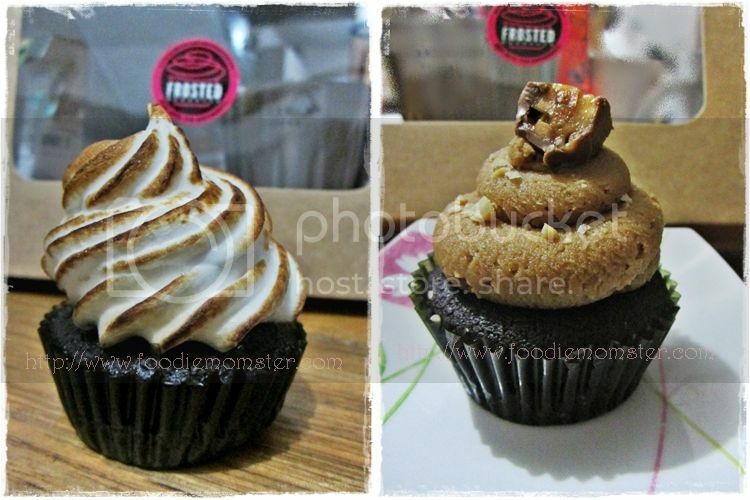 Filed Under: Desserts, Food Reviews Tagged With: #frosted desserts restaurant, cupcakes at frosted desserts, food stop at Maginhawa St.